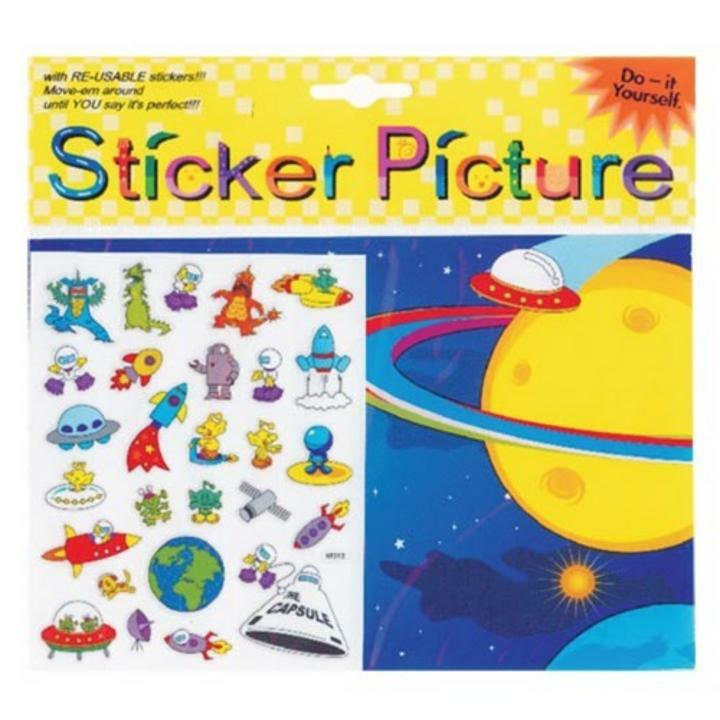 1 outer space themed sticker picture. Sticker pictures come with a backround scene and approximately 25 assorted theme related stickers. You place the stickers in the scene to act out a scenario. The stickers are re-usable so you can keep moving them from place to place!